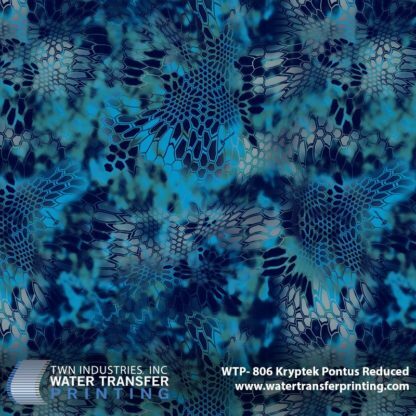 Kryptek® Pontus Reduced is a dark blue technical camouflage pattern. The color palette is design to be used in deep ocean environments. 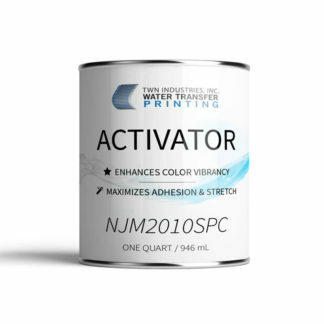 This makes it perfect for deep sea fishing, diving, snorkeling, and more. 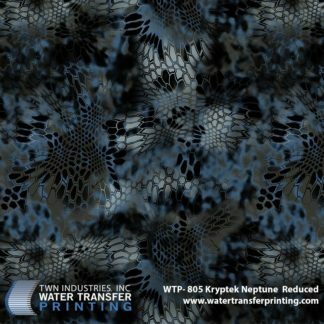 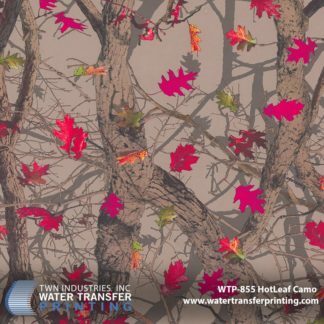 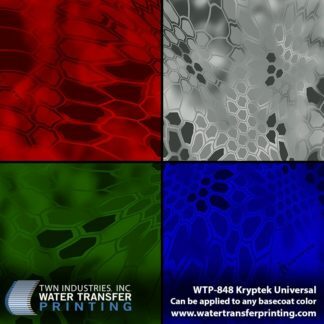 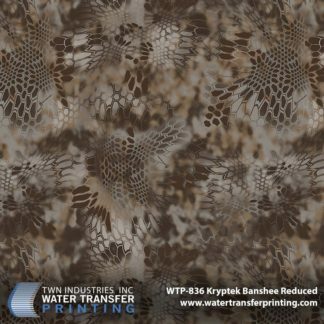 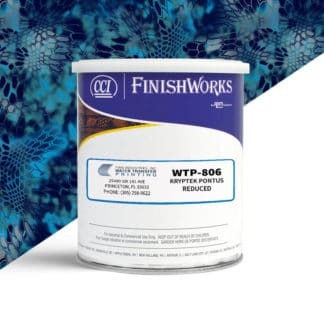 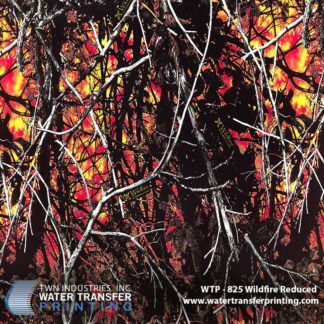 Pontus Reduced hydrographic film is 25% of full size Kryptek® patterns.